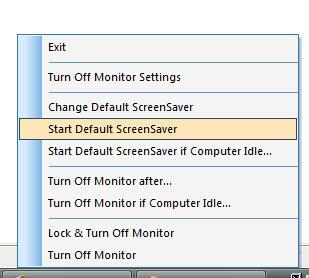 Download Free to Try Turn Off Monitor Software Utility Now and Install the Software Utility. 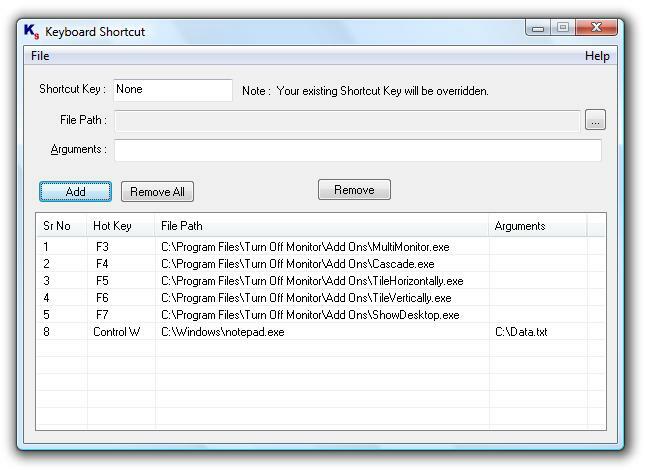 Launch Keyboard Shortcut Software Utility from the System Tray. 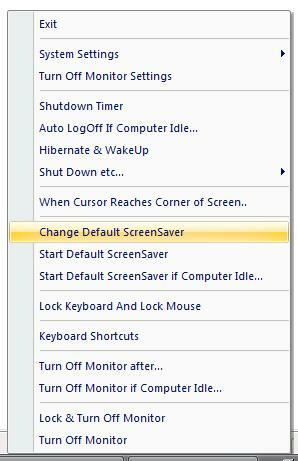 That's it, now whenever you press the Shortcut Key, the mouse cursor will be moved to the next display / monitor in your multi monitor setup. The First Time you use the software to Move Mouse Cursor to the Next Monitor, Mouse Cursor will be placed at the Top Left of the Next Monitor. Next Time Onwards the mouse cursor will be placed at the last location where mouse was moved out of the Monitor using the Software. Turn Multiple Monitors Off easily and much more. Click on Image below to view all features of the software download. 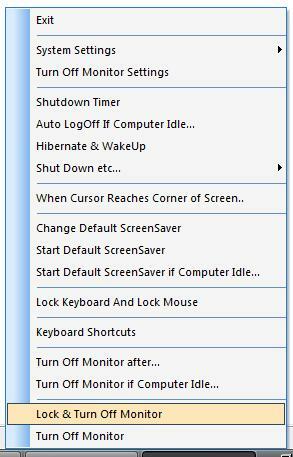 Click on the image below to find more information about the Keyboard Shortcut Software Utility. 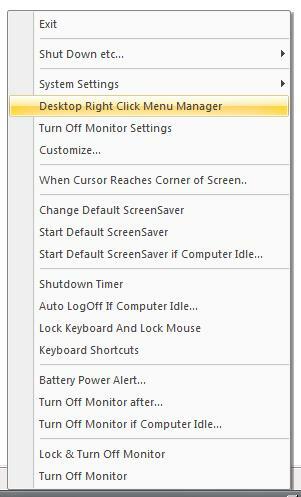 Another Add On provided with Turn Off Monitor can Disable Secondary Monitors connected to a Computer. The Add On will not disable primary monitor connected to a computer. Moving Mouse on a Computer with Multiple Monitors or Dual Monitors was never so easy and quick to setup. Download Software Now and automate mouse movement across computer screens. 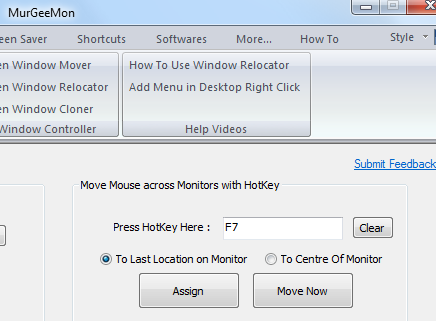 The Software Utility remembers last location of mouse cursor on a computer screen whenever you use the software utility to move mouse to the next monitor.